Throughout my career of about two decades as a high school English teacher and then approaching another two decades in higher education (as a teacher educator and first-year/upper-level writing professor), I have avoided and delayed grading as well as eliminated testing from my classes. My experiences with first-year and upper-level writing instruction have further confirmed that if you are grading, you may not be teaching. 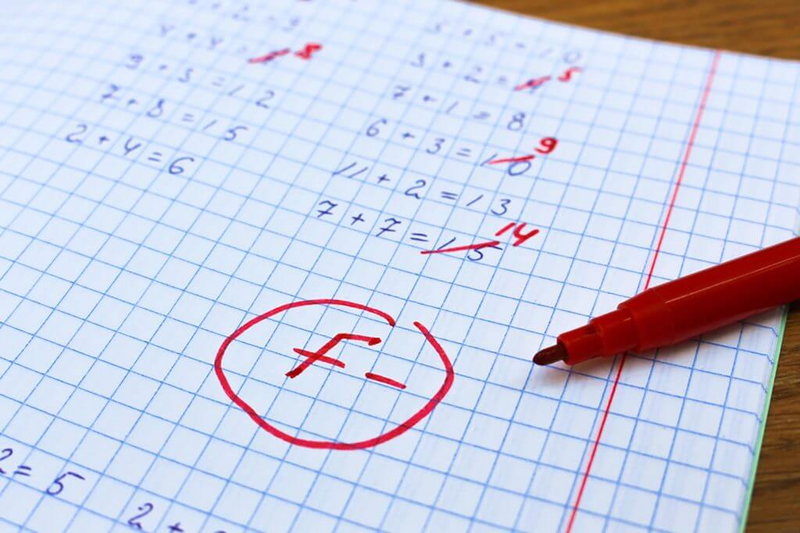 Specifically, teaching citation and scholarly writing has revealed a problem that directly exposes why grading often works against our instructional goals. First, let me stress again that the essential problems with grading include how traditional practices (such as assigning grades that are averaged for quarter and/or semester grades that are then averaged for course grades) tend to blur the distinction between summative and formative grades, inhibiting often the important role of feedback and student revision of assignments. The blurring of formative and summative grades that occurs in averaging, as I have confronted often, deforms teaching and learning because students are being held accountable during the learning process (and thus discouraged from taking risks). To briefly review the problems with grades and averaging, let me offer again what my major professor argued: Doctors do not take a patient’s temperature readings over a four-day stay in the hospital in order to average them, but does consider the trajectory of those readings, drawing a final diagnosis on the last reading (or readings). Thus, averaging is a statistical move that distorts student growth, deforms the value of reaching a state of greater understanding. As I have detailed before, consider a series of grades: 10, 10, 85, 85, 85, 85, 85, 85, 100, 100 = 730. The average is 73, which most teachers would assign, but the mode is 85, and if we note these grades are sequential and cumulative (10 as the first grade in terms of time, and 100 the last grade), a legitimate grade assignment could be 100. In other words, using the same data, a teacher could assign 73, 85, or 100 to this student, and all can be justified statistically. But another problem with grades and averaging that speaks to this post is something my students taught me when they complained about their math classes. Several students informed me that they had never passed a single math test, but had passed math courses. The trick? Students earned bonus points for homework, etc., that were added to each test, on which students never reached a passing score. This process means that cumulatively students never acquired so-called basic or essential math skills, but passed the courses, resulting in course credit that grossly misrepresented student learning. Therefore, returning to my claim that grading may not be teaching, when we subtract for so-called errors to assign grades, we are allowing students to move through the learning process without actually learning the element being graded. In most cases, I believe, that strategy is teaching students that the element really doesn’t matter. This dynamic is particularly corrosive when teaching scholarly writing and citation. Citation is one area of writing that doesn’t have degrees; you either cite fully or you don’t. Many students, similar to the math students noted above, have never reached any level of proficiency with citing because they have mostly had points deducted for improper citation and then gone on their merry way, never having learned to cite fully. If citation is essential, to grade and never require mastery of citation have two very negative consequences: (1) students do not attain an essential skill (and may exit formal education without the skill), and (2) students fail to understand the importance of drafting, receiving feedback, and revising. Academic writing is challenging for developing young writers since it demands complex technical demands (such as citation and document formatting) and high expectations for content and style. Students need years and dozen of experiences reading and writing academic writing across multiple disciplines and varying conventional expectations. But we cannot expect students to acquire the nuances of citation if we simply grade and never allow or expect them to cite fully and properly as an essential aspect of an academic writing experience. As I make this case, I want to stress that as writing teachers we are trying to balance expectations for students and provide them low-stakes opportunities to draft with little or no consequences. Students should have both writing assignments that demand minimum proficiency with key skills such as citation and writing contexts that foster and allow taking risks and working outside conventions. Grading, I witness daily, inhibits both of those in ways that suggest the non-graded writing class is the best opportunity for students to learn in holistic and authentic ways that reveal themselves in student writing samples. Because of their experiences being graded, I struggle to help students see that citation, grammar, mechanics, style, and content all work in unison either to support or erode their authority as writers and scholars. I struggle to break through students resisting the drafting, feedback, revision process because they have been taught to submit instantly perfect work; that their identifiable flaws are the loss of points — not necessary areas to learn, grow, and excel. As I end my thirty-fourth year teaching, I cannot stress hard enough that if you are grading, you may not be teaching, and your students likely are not learning the very things you value enough to assess.